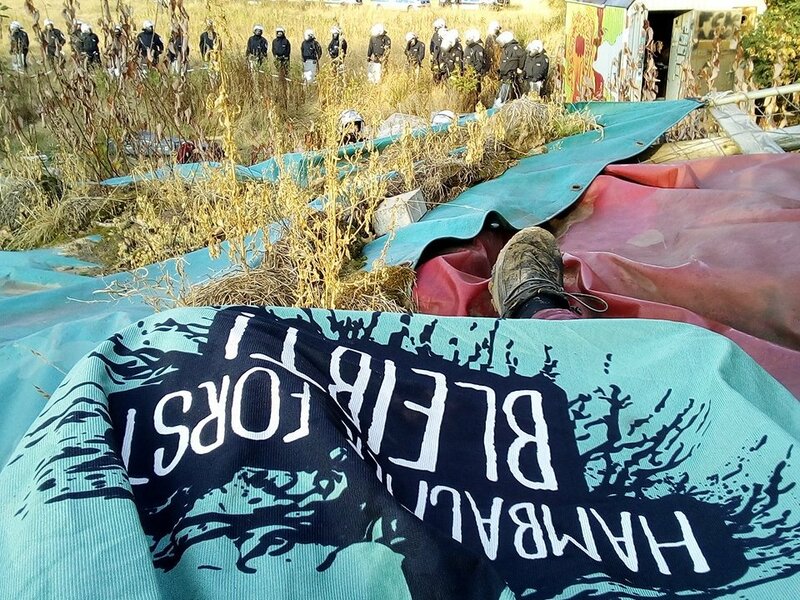 Home / Eco / #Hambacher Forest: Solidarity against Repression! The police therefore threatened with a sentence of 150 days jail. The daily rates were advanced by a solidarity private person who is no financial standing to cover the costs long term. As fines are an attempt to drain financial resources of the movement please help us gather funds to at least partially repay this sum. We ask you to carry together this penalty of 1500 € (10 € x 150 days) ! Please participate in this donation call. No JUStice – no peace! Solidarity Is both our strength and also weakness so don’t let the bastards let you down, isolate, and atomize the struggle!! And do not forget the prisoners! Write letters to UP III (Samantha), who was sentenced to nine months without parole after a barricade eviction in February. Let us show that our solidarity goes beyond the prison walls!